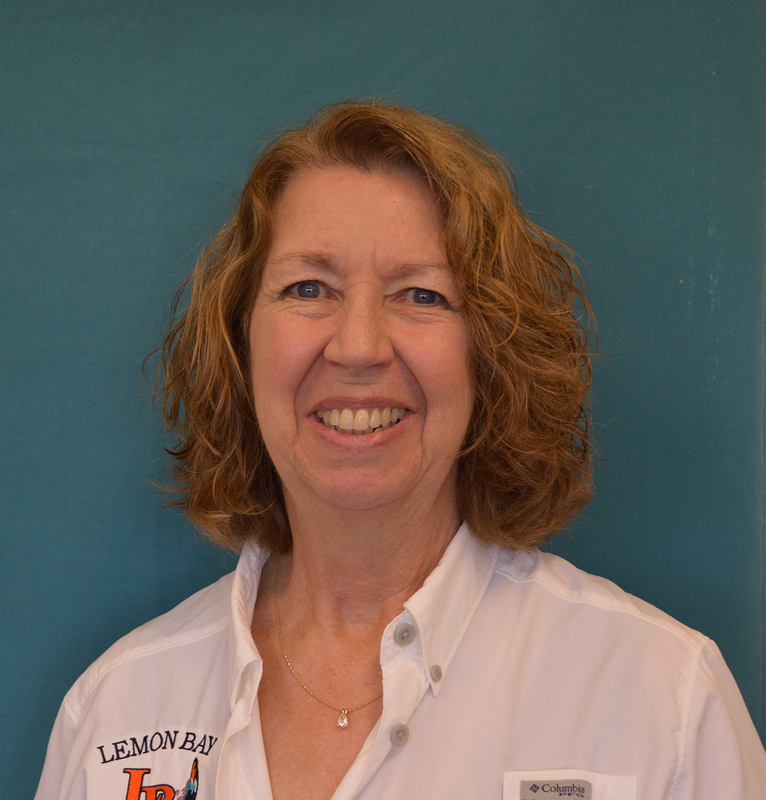 Kathy Dowd has been a devoted social studies teacher here at Lemon Bay High School for over 30 years. Dowd was born in Berwyn, Illinois. She opted to stay in Illinois while going to college. At first Dowd went to Moraine Valley Community College, located in Palos Hills, than later went on to St. Xavier University located in Chicago, where she acquired her bachelors degree. Dowd started her teaching career in Illinois, where she taught the eighth grade for a year. After teaching there she decided to move to Florida and would soon begin teaching at Lemon Bay. Dowd now teaches psychology, sociology and economics. She has also chosen to sponsor and work with the National Honor Society. Outside of school Dowd enjoys spending time with her two girls Kelly, 22 and Kerry, 18. When she's not spending time with her children, she also enjoys reading mystery novels. Dowd's favorite authors include James Patterson and Janet Evanovich. Dowd also enjoys walking her two loving standard poodles, Diva and Louie. Dowd is glad to have come to Lemon Bay High School to teach. "It's a great place to teach." She feels that the staff is wonderful, and they help create a nice environment in which to work. Dowd has also enjoyed her students throughout the years. Dowd is a fantastic teacher at Lemon Bay, and one can only hope she continues to teach for years to come. Weekly Lesson Plan 2018 Gov. Weekly Lesson Plan 01-23-17 Gov. Weekly Lesson Plan 01-29-2018 Soc. Weekly Lesson Plan 01-0802018 Soc. Weekly Lesson Plan 04-17-17 Soc. Weekly Lesson Plan 03-27-17 Soc.